For fans of JP Delaney’s The Girl Before and Ruth Ware’s The Woman in Cabin 10 comes this hair-raising novel of deception and revenge that will blow readers away. Vincent, Jules, Sylvie, and Sam are ruthlessly ambitious high-flyers working in the lucrative world of Wall Street finance where deception and intimidation thrive. Getting rich is all that matters, and they’ll do anything to reach the top. The biggest mystery to solve in this lethal game: What happened to Sara Hall? Once a young shining star—now “gone but not forgotten”. The Escape Room will be available August 6, 2019. The Escape Room started out well, but seemed to lose steam as the story progressed. While it was still overall an enjoyable read, it didn’t quite live up to it’s potential, or my expectations. The story is told in alternating chapters between past and present. In the present, we get the third person perspectives of investment bankers Vincent, Jules, Sam, and Sylvie who are stuck in an elevator in what they were led to believe is a team building escape room challenge. The past chapters are from the first person POV of Sara Hall detailing how she came to work at the firm with the others and what it ultimately led to. At first, I had a hard time caring about Sara’s chapters because she felt removed from the more pressing action going on in the elevator. After awhile, though, I became more invested in her. While I was initially much more interested in what was going on with the group in the elevator, their appeal wore off rather quickly. The clues for the escape room were few and far between and what should have felt suspenseful and nerve-wracking just became a little boring and drawn out. Most of the chapters were made up of character exploration, which isn’t a bad thing in itself, but when each and every one of the characters are so detestable, it’s kind of chore to get through. There was absolutely nothing sympathetic or redeeming about any of them. They were all selfish and shallow and manipulative. It made me not care about the stakes because I didn’t really care what happened to any of these characters. I also wish the atmosphere was a little more claustrophobic and stressful. For the most part there was a lot of repetition about how they bumped into each other in the dark and the heater was on really high and it didn’t really do anything for me. Overall, I did find The Escape Room enjoyable, but it fell a little flat for me. The character development was really well done. I just wish that any of characters were worth caring about. I figured out what I think was supposed to be a twist pretty early on in the story and I found the ending a little anticlimactic, as well. 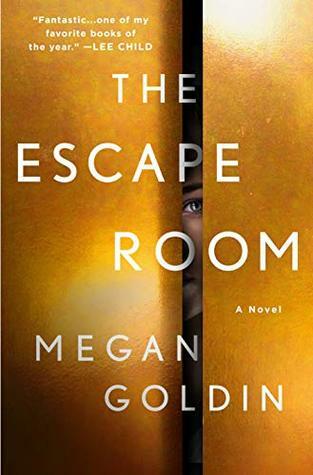 However, I think there will be a lot of people that find this a fun summer read and I would be interested in seeing what else Megan Goldin does in the future. The Temp will be available January 29, 2019. 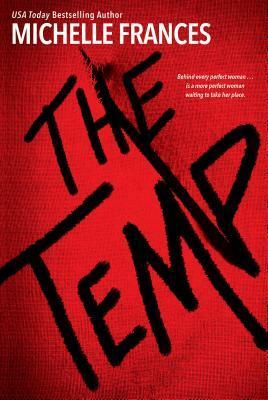 I have seen several glowing review for The Temp and was excited to give it a try. Unfortunately, I did not enjoy it near as much as others have seemed to. First, I want to say that I think the synopsis is a little misleading. Nothing it says is wrong, exactly, it just makes things sound like they happen much more suspensefully or creepily than they actually do. Anyways, I have recently read several light and fluffy Romances in a row and I was really craving something with a little more substance when I picked this book up. I really wanted the suspense and thrills and The Temp just didn’t give it to me. I didn’t think any of the twists were surprising. There is one that is saved until almost the end of the book that I suspected within the first 20% of the story. Which leads me to my next point. This book was far longer than it needed to be. I felt like there was a lot of repetition and the pace was pretty slow. The chapters became a little quicker towards the end, but I still felt like things were dragged out for too long. I also thought it was structured kind of oddly. The book is broken into four parts, each under a different character’s name, but the story is told in third person and the POV changes almost every chapter, despite which part it’s in. I didn’t understand the purpose of the different parts named after a character if that section didn’t focus entirely on that character’s POV? Overall, The Temp just wasn’t for me. It had an intriguing premise and the writing wasn’t that bad, it just lacked the suspense and creep factor I was expecting. I wasn’t surprised by any of the twists and I didn’t find the characters very likable or relatable. However, I have seen other people who have really enjoyed this book, so it still might be worth the read. 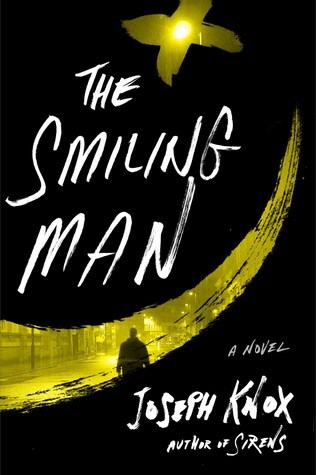 The Smiling Man will be available January 15, 2019. I have been looking forward to reading The Smiling Man for awhile now and I’m happy to report that I liked it even more than the first book in the series. Aidan Waits is such an interesting character. I was glad to see he was more sober in this book. His life is still a mess, but I feel he’s at least trying to get things in the right direction. I enjoyed his dysfunctional relationship with his shift partner/superior officer, Sutty. Their banter brought a little bit of levity to the otherwise heavy story, even though it was more of a dark humor. I was into it, though. I thought the writing in the first book could be a little scattered and hard to follow at times, but I didn’t feel that way about this one. While there are several threads that I didn’t really see the connection in until the end, they all made sense. I really do like Knox’s writing style. It’s pretty addictive and when I gave myself time to sit down and read this book, I never wanted to put it down. I loved how short most of the chapters were, too. Overall, I enjoyed The Smiling Man. Knox’s writing style is unique and addictive and I am eternally fascinated by Aidan Waits. I thought the mystery was well done, but I could’ve spent a little less time on some of the side mysteries, even though they all play in to the bigger picture. I am definitely looking forward to more in this series. A copy of this title was provided by the publisher via NetGalley in exchange for an honest review. Watching You will be available December 26, 2018. Normally with my reviews I share the synopsis of the book, but I’m not going to do that for this one. I do have a warning, though. Apparently the edition I marked as “Want to Read” on Goodreads was the one edition that had a very inaccurate synopsis. It very clearly stated which character is murdered, however that character is not the victim. I was kind of livid about this synopsis and couldn’t understand why no other review I found was complaining about it. And then after checking 3 different book seller sites and the other editions of the book on Goodreads, I realized this was the only place I could find this wrong synopsis. So my warning to you, don’t read the synopsis on Goodreads in case you get the wrong edition (though I’m hoping this will be corrected before the book is published). Ok, now that my little PSA is done, let’s get on to the book. Watching You follows the intertwined lives of residents in a small English town. Joey is kind of a hot mess who moves in with her brother and sister-in-law when she returns home with a new husband in tow. When she first notices her neighbor, charming and charismatic Tom, she develops an instant crush. Freddie is Tom’s son and he likes to spend his time watching and keeping tabs on the townspeople from his bedroom window. He doesn’t believe his father is the great man everyone in town seems to think he is. Jenna is a student at Tom’s school. Her best friend has a crush on Tom and Jenna finds his interactions with her friend a little inappropriate. Additionally, her mother has paranoid delusions that Tom has initiated gang stalking of her and wants everyone in town to know what a fraud he is. I’ve read some reviews that said there were way too many people to keep track of in this book, but I have to disagree. I did not have trouble keeping the characters straight at all. Jewell is excellent when it comes to writing character development and that skill is on full display here. However, I do have to say that I did have kind of a hard time connecting to any of the characters. I didn’t feel a real attachment to any of them. I wanted to find out what happened, plot-wise, but didn’t care that much about what kind of fall out the characters faced. There were a couple of side character I did enjoy, though. Joey’s brother, Jack, and her husband, Alfie, were both really sweet. I wouldn’t have minded getting to see more of them. 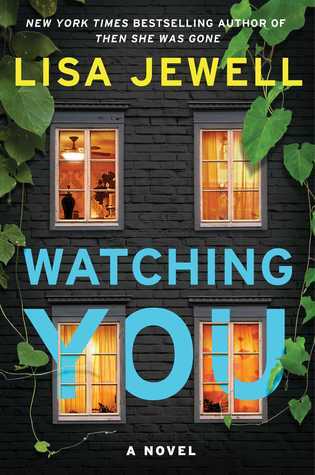 Overall, Watching You kept me turning the pages, but the mystery was not as satisfying as I hoped it would be. I did like how the story showed how easily our personal perceptions could be wrong and Jewel’s writing is always enjoyable. I just felt like the conclusion was a little lackluster and the book didn’t have much of the creepy “You’re being watched” vibe that I was expecting. I also think that my overall feelings for the book were negatively impacted by that incorrect synopsis I read. 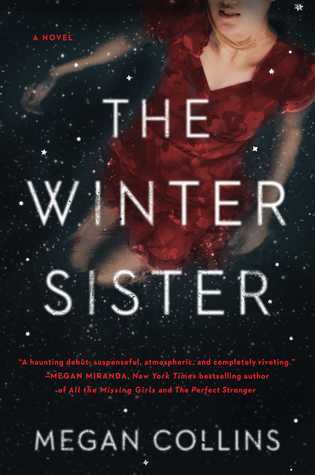 I still recommend this one to Lisa Jewell fans, though, and fans of character-driven mysteries. 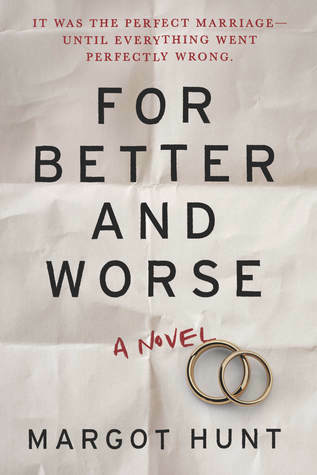 For Better and Worse will be available December 11, 2018. I’m going to preface this review by saying my expectations may have been a little off for this book. I was expecting a fun, twisty story of a husband and wife team doing some very bad things, in the vein of (the far superior) My Lovely Wife by Samantha Downing. However, For Better and Worse was neither fun nor twisty. It was a heavy, somber, and agonizingly slow paced tale of two unlikable people trying to get away with something and at the end of the day I really didn’t care if they managed it or not. The story starts with Natalie and Will in law school on a date where the topic of how to get away with a murder comes up. Flash forward seventeen years and they’re married with a kid. When their son’s principal – and family friend – is put on leave due to accusations of abuse, Natalie decides it may be time to put their idea for the perfect murder into action. Will doesn’t exactly agree, but that’s not going to stop Nat, or keep him from getting involved. Nat and Will were both really unlikable. Natalie was the too-smart-for-her-own-good control freak and Will was the put upon husband that looks for validation elsewhere. At no point in this whole book did I find myself rooting for either of them. They were bad spouses, parents, and people in general. I also expected a lot more from them in the “perfect murder” department. Natalie acts like she’s so smart and has covered all the angles, but she barely makes any plans and the plans she does make are anything but fool-proof. They honestly deserved to be caught. The outcome of the investigation is anti-climatic and unbelievable. It kind of irritated me, to be honest. The very ending has something that I guess is supposed to be kind of a twist, but I found it predictable and lackluster. Overall, I just didn’t care for For Better and Worse. Perhaps if I had different expectations going in I would have felt differently, but I don’t think so. With the slow pace, unlikable characters, and all too convenient ending, I think this book just failed to live up to it’s potential. However, I have read some really great reviews on this one, so it might just be me. 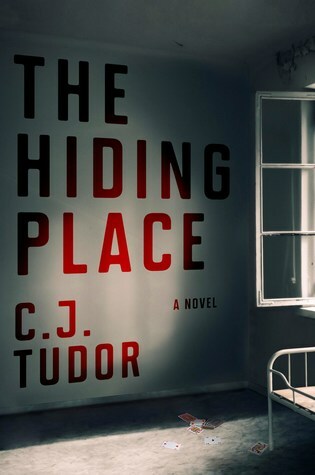 The Hiding Place will be available February 5, 2019. -I’m a big fan of Tudor’s writing style. I love the banter, the dark humor, the well-executed multiple timelines. Even though I felt like the pacing was a little too slow for much of the book, I still wanted to keep reading. There’s just something compelling about it. -Joe. Joe was not exactly a likable character, but I actually liked him a lot. He comes across as an underdog and how can you not root for the underdog? I loved his sense of humor, even it was kind of dark. He’s had a lot of bad things happen in his life and I liked that even though he kept making a lot of bad decisions and was pretty cynical, he still had a sense of hopefulness. -So, you all know how much I hate it when a surprise supernatural element pops up in a story. I go from reading a believable mystery/thriller to something I can’t take seriously. I honestly think this would work much better marketed as Horror instead of Mystery. I mentally just put it in the Horror category and so it didn’t bother me as much as something like this normally would. -While there were some surprises at the end of the book, I didn’t really see the point in some of them. It’s hard to explain it without getting spoilery, but I really felt like what happened in Arnhill when Joe was young and why he’s back were the heart of the story, and tacking on an extra reveal at the end that you didn’t even realize you were supposed to be trying to figure out seemed unnecessary. Overall, I did enjoy The Hiding Place. I liked the writing and the characters – namely Joe. However, the supernatural angle and the unnecessary final twist did sour me a bit. Still, I think fans of Tudor’s previous work will enjoy this one, as well.